London (AFP) - Wealthy countries were slow to tackle the Ebola epidemic as it began in Africa, former United Nations secretary general Kofi Annan said in tough criticism of the response to the crisis on Thursday. "I am bitterly disappointed by the response... 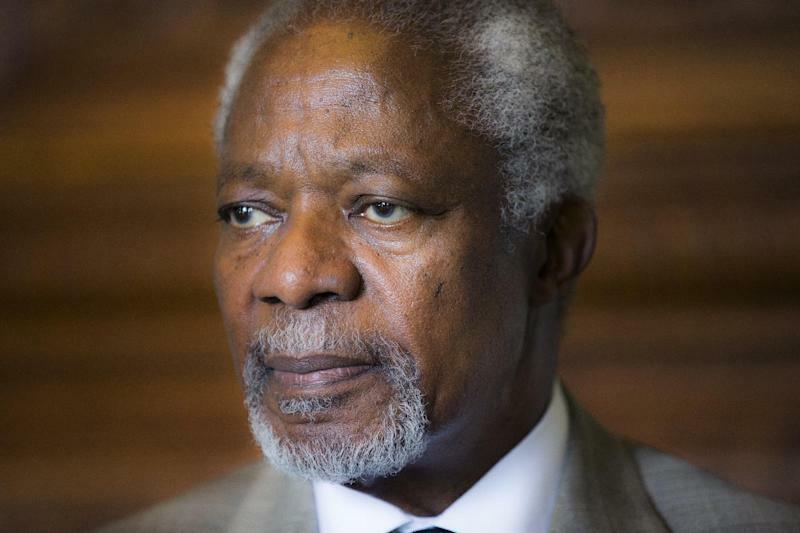 I am disappointed in the international community for not moving faster," Annan told the flagship BBC programme Newsnight. "If the crisis had hit some other region it probably would have been handled very differently. In fact when you look at the evolution of the crisis, the international community really woke up when the disease got to America and Europe." The Ghanaian diplomat, who led the United Nations for a decade until 2006, said it should have been clear that the spread of the virus from its epicentre in western Africa to countries overseas was only a matter of time. It has since been transmitted to a nurse in Spain and two nurses in the United States who were treating patients who had contracted the disease in Africa. "I point the finger of blame at the governments with capacity... I think there's enough blame to go around," Annan said. "The African countries in the region could have done a bit more they could have asked for help much faster and the international community could have organised ourselves in a much better way to offer assistance." "We didn't need to take months to do what we are doing today." Annan defended the World Health Organization, which has been criticised for not responding quickly enough to the worst ever epidemic of the disease, which began in Guinea before spreading to Liberia and Sierra Leone. "Countries are saturated with demands and they are not always able to prioritise as effectively as they should. I think we took our eyes off the ball," Annan said. The WHO on Thursday said it was ramping up efforts to help 15 African countries stop the spread of the virus, as Europe prepares to coordinate screening of passengers from affected countries. The outbreak has killed 4,493 people from a total of 8,997 cases as of Sunday, according to WHO.